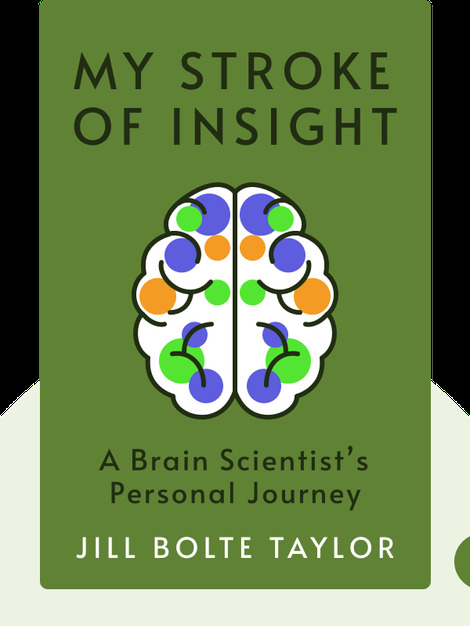 My Stroke of Insight (2008) is about Jill Bolte Taylor, a neuroscientist who suffered a stroke in her mid-thirties. These blinks detail her personal story from medical school to experiencing a stroke to learning how to walk, talk and even identify colors again. 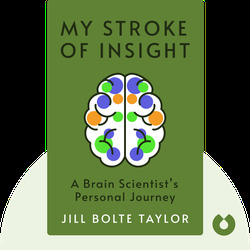 Dr. Jill Bolte Taylor is an American neuroanatomist who specializes in mental illnesses. Her TED talk was the first of its kind to go viral and inspired many to buy her book, which subsequently became a New York Times bestseller. For over a decade, Bolte Taylor was the president of NAMI, the National Alliance on Mental Illness, and is now the NAMI president emeritus for Bloomington, Indiana.